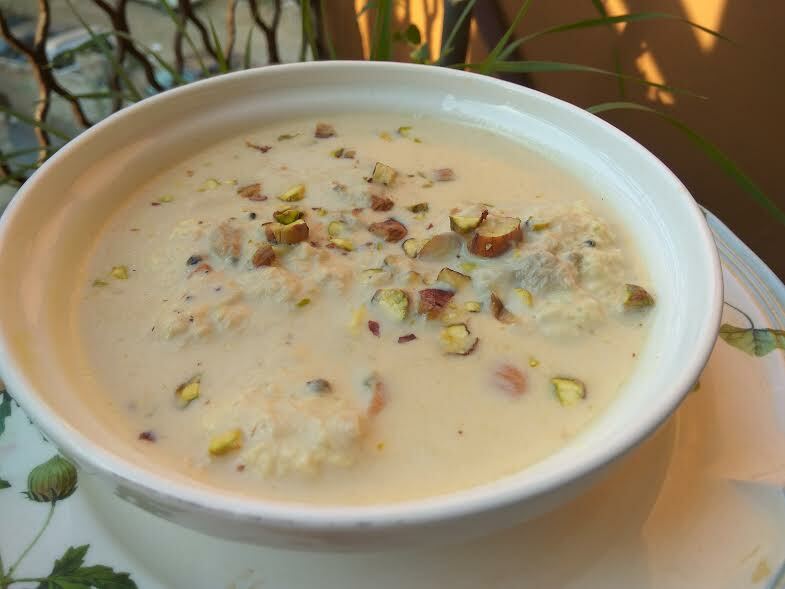 The word rasmalai sounds so blissful - with all the ras intact. 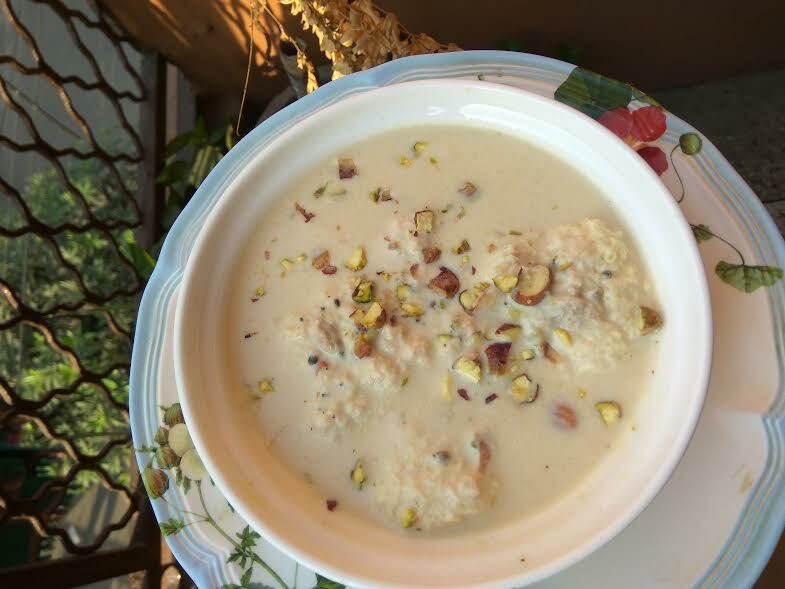 Well, I am sharing with you a gur rasmalai and rasgulla recipe that uses toned/low-fat milk. This does make a healthy sweet that you can indulge in guilt free. Of course, I am not saying you should be doing this daily. 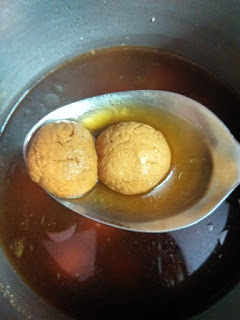 Pahala rasgulla is a special sweet in Odisha. I love the brown tint of this Odiya sweet and its spongy texture. Well, I am OPOSing a number of recipes every day. In fact, OPOS is what I do these days in my kitchen - rarely do I make anything the old way. Why not? OPOS is another name for life made easy - or you may say it is cooking made easier! While we have been trying out OPOS recipes everyday, primarily meals, it's time to OPOS sweets now. 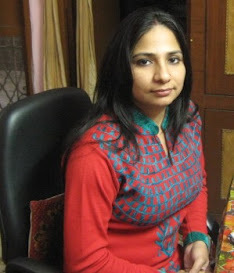 Of course, it is Diwali time, which is the time to relish sweets. Since I do not indulge too much in sweets, given the amount of empty calories that go into the body, I try making everything at home, so that I can keep an eye on what goes inside us. What do you have to say about it? 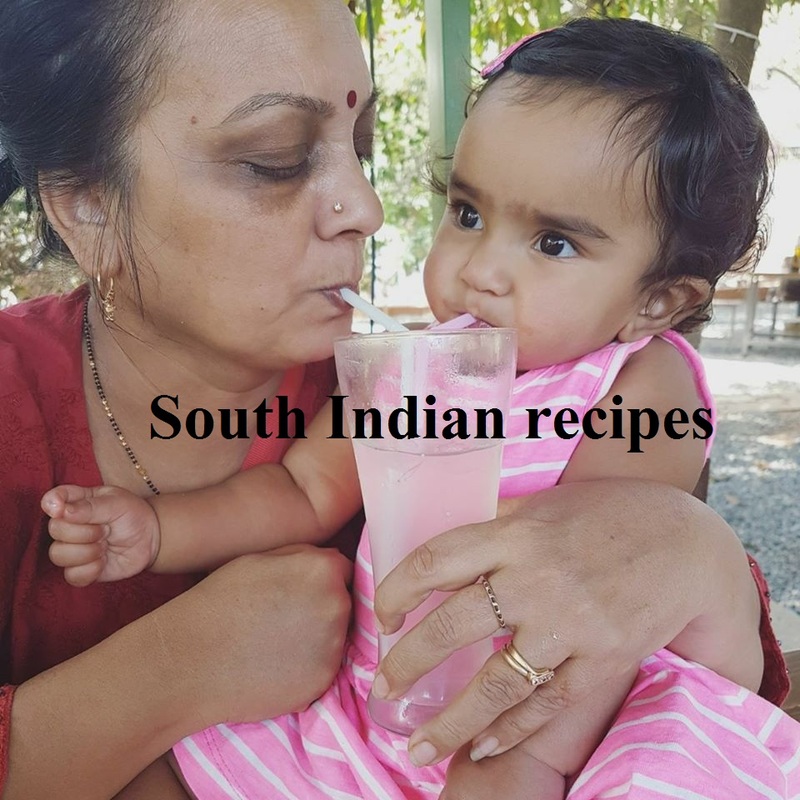 Without further ado, let's see the OPOS rasgulla recipe. I wanted to go ahead with OPOS rasmalai as well, but I want to be fully confident here before OPOSing rasmalai. Worry not! Will do so shortly. Call it rasogollah, rasugullah, or chenna meetha, this less sweet delicacy is going to tinkle your taste buds. 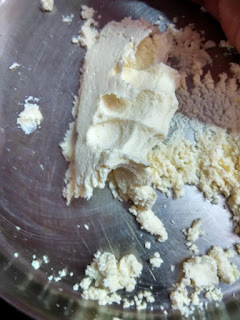 The no fuss recipe uses paneer (cottage cheese), sugar, and water - the simplest of ingredients available in every home. Yes, it's as simple as that. Can it get simpler than this? Wondering how could a delicacy like this be so simple to churn out? I have been fond of rasogollah since childhood. 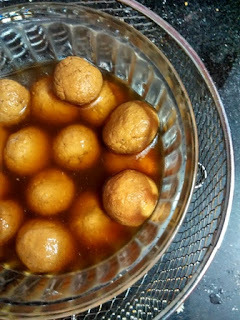 The rasogollah I used to savor during childhood was more like gulab jamun. I am looking for a recipe to make that kind of rasogollah, but thus far have not been able to get my hands on it. 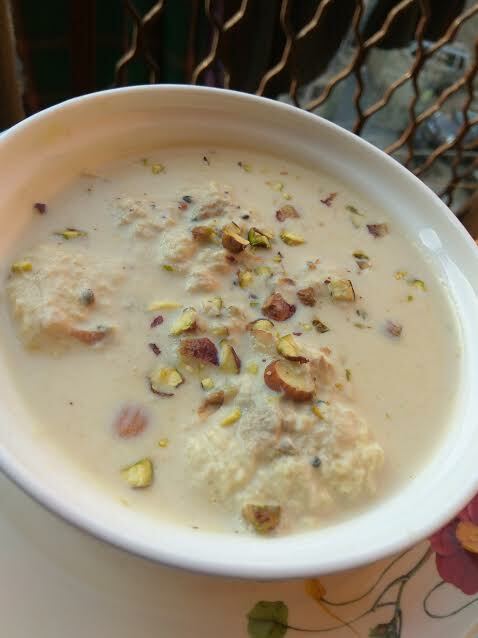 Everytime I Google rasogollah, I am driven to the sponge rasgulla. 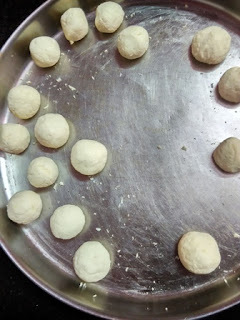 Nevertheless, I have tried sponge rasgulla many times, and everytime I love the less sweet dessert that I learned to make last year. Hubby dear loves these sponge rasugullah, which originated in his home state of Odisha. 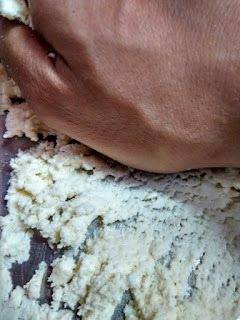 Initially I did not like this kind of rasogollah, but after marriage, I have got so used to the Odiya style of spongy sweet made from chenna (cottage cheese). 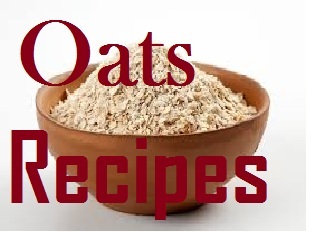 Usually this recipe uses high fat milk for good results. But I use toned/skimmed milk, so try everything with this low fat milk. It never disappoints. OPOS paneer. Here is how you can make 5-minute paneer with one pot one shot. 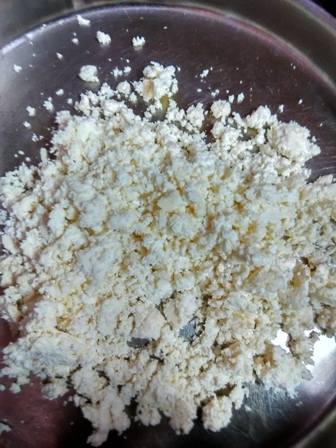 Strain paneer and allow it to cool down. I allowed the panner to sit in a tea strainer until all water was gone. 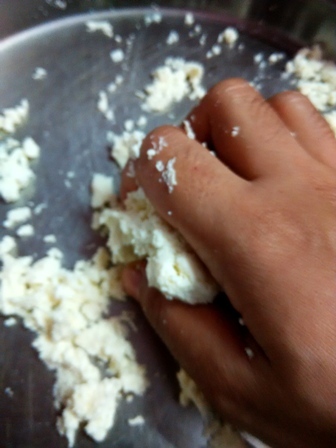 Then add 1 tsp of water to the paneer and start kneading it. Knead into a very smooth dough - it will need a lot of hard work. You may continue to press it with your palms again and again until it becomes smooth - silky smooth, that it. 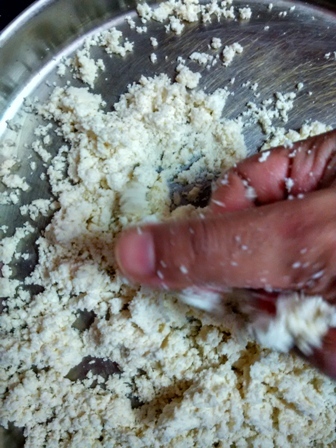 Keep kneading until oil oozes from paneer...that's the point where you should stop kneading. 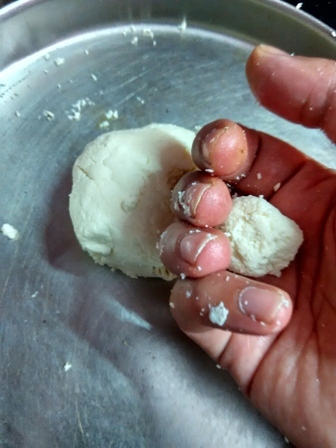 This will ensure that the paneer balls remain intact while boiling in the jaggery syrup. You may use a processor to churn it quickly. Make sure it does not become loose though. Once done, make lime-sized balls without cracks. 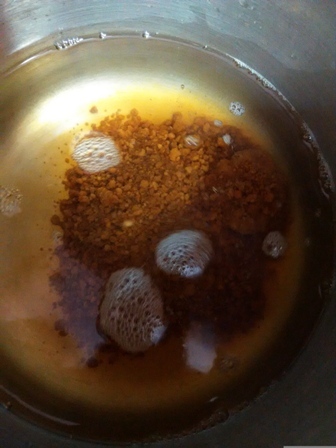 Add water, jaggery powder, and elaichi powder in a 2- or 3-liter pressure cooker. Drop all paneer balls into the cooker. Pressure cook on a high flame for 7-8 whistles. Allow pressure to settle down. 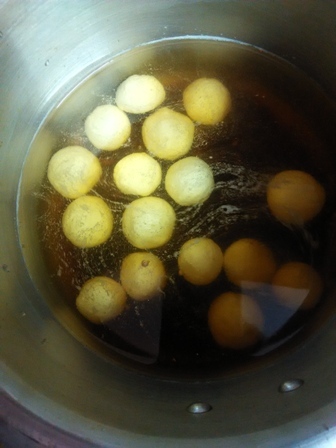 Open, cool the balls down, refrigerate, and relish OPOS sponge rasgulla. 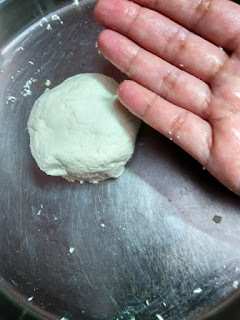 If you press the rasgulla with hands, you can easily squeeze it like a sponge, but it will retain its shape quickly. This is a sign that your OPOS pahala rasgulla from Odisha are done. Enjoy this simple Odiya delicacy with family or friends this Diwali - surely makes a palatable Diwali treat for one and all. Let the paneer balls simmer on medium flame in the sugar/jaggery syrup If you are using cooker, let the water boil once. Then drop the balls into it and cover with weight (whistle ). Turn off the flame after 4 whistles. Your sponge raogollahs are ready in a jiffy. If you are using an open vessel, follow these steps. Meanwhile, make lemon-sized balls with paneer. Drop the balls in the boiling water+sugar mixture. Let it bowl for 20-25 mts or until the sugar syrup is reduced to almost half. 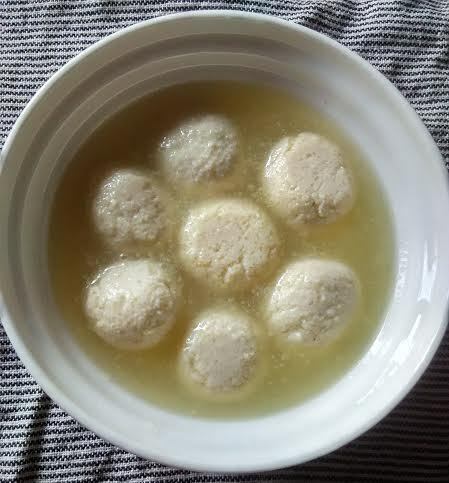 Let the rasgullahs cool down. 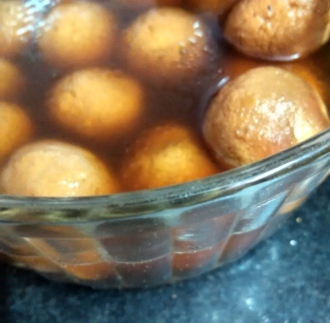 You may refrigerate paneer rasgullahs if you can control your cravings. Craving for more sweet recipes. Here is my top-rated sugarless besan ladoo recipe. 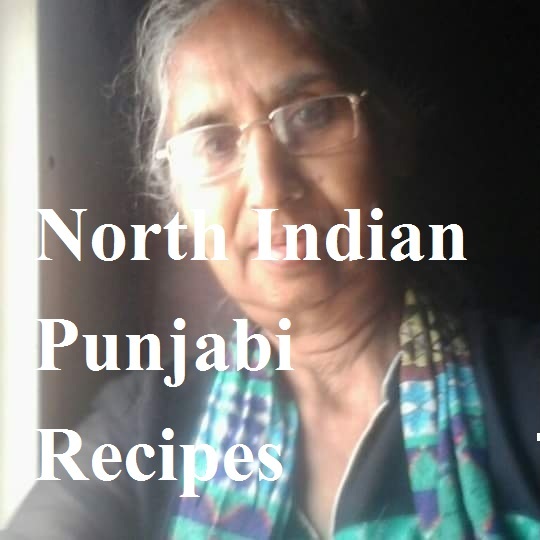 You can make gur rasmalai with these rasgullahs. 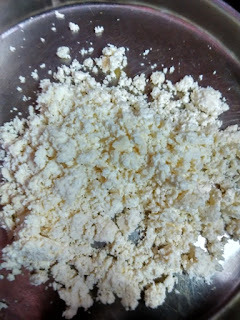 Mix milk and milk powder +elaichi. If you do not have milk powder, simply mix milk and elaichi and keep it on high flame. 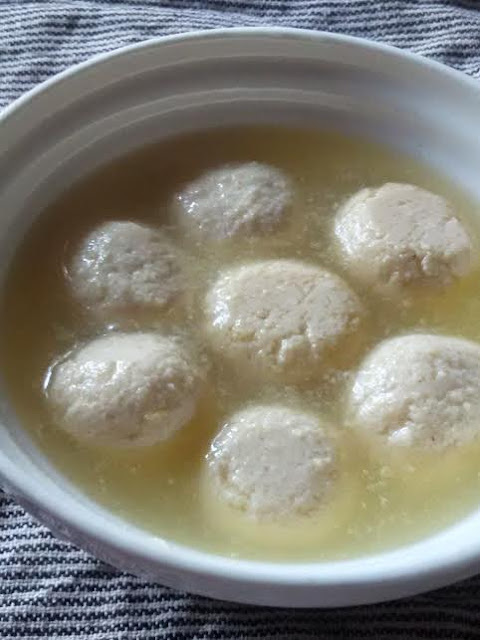 After the milk boils once, throw in the rasogullah balls and let them simmer on low flame until the milk is reduced to half. Add almonds, pistachio to the milk. A favorite here. Thanks for visiting.